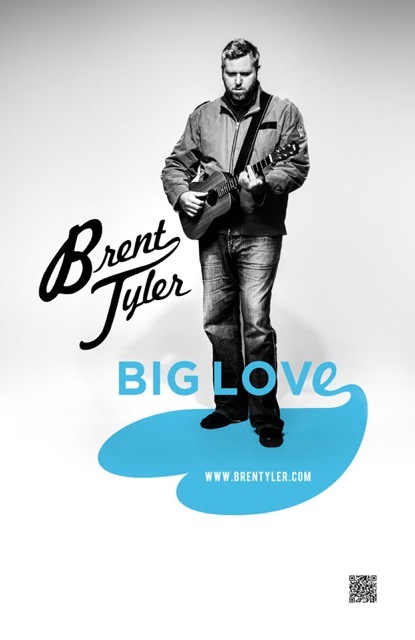 Brent Tyler & his ‘Big Love’ Band of Rob Vulic (Drums), Josip Vulic (Bass), & Garth Kennedy (Keys) will be hitting the Okanagan hard over the first weekend of June performing soulful and heartfelt songs influenced by the likes of Martin Sexton, Jeff Buckley, and Dave Matthews. Full-On Folk-Pop, Tyler et al, will bring an upbeat and powerful sound to the Okanagan Valley. Big Acoustic Love. This is the best description of Brent Tyler’s music and live performance. An aggressive acoustic style combined with lungs befit of his seven foot stature. 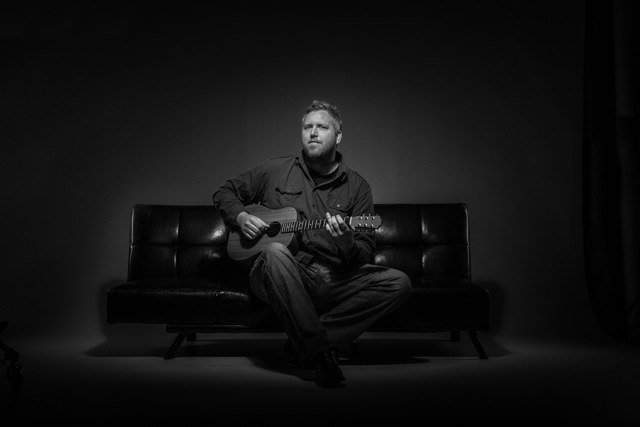 Brent Tyler balances the soft subtlety of honest and introspective folk music with soulful and powerful pop hooks and melodies born of his childhood influences and contemporary crushes. BT & The ‘Big Love’ Band start the tour in Vernon @ The Hub Arts Collective Friday June 1st. The weekend will crescendo with a live streaming performance @ Kelowna’s renowned Streaming Café on Saturday June 2nd with some winery shows during the days on Saturday & Sunday. Sunday night will see BT & his band team up with local Okanagan legend Ari Neufeld at a TBD venue. Heading into Music City Studios on Monday June 4th to do some live recording will bring the band tour to a close while BT & Ari head on to the Coast and Island for more touring dates together. Songs full of energy and heartfelt context performed in intimate venues where the lyrics, stories, and raw energy of their performance will surely connect with listeners. Introspective lyrics, ample guitar skills, and soulful voices will define this tour bringing this band of horsemen together for a weekend of musical magic. After releasing his 2nd Album ‘In Rhythm’ in the summer of 2010, Brent Tyler has spent the last two years adding highway Kms and industry experience to his already accomplished resume. Highlights include opening slots for Nitty Gritty Dirt Band, The Watchmen, Lorne Elliot, Julian Austin, & Joel Plaskett. Recently, Brent has been fortunate to share stages with other accomplished Canadian artists such as Wil, CR Avery, Ari Neufeld, & The Polyjesters. Brent Tyler?…Imagine Martin Sexton smoking cigarettes with Dave Matthews listening to Jeff Buckley. A Tall man with a Grande talent and a Venti heart.